"The sheer idiocy of a mass product created especially for you assumes the character of a ghastly necessity. Individual needs have been so ruthlessly eliminated from the product that they have to be invoked like magic formulae to prevent the customer from becoming aware of the murderous ritual of which he is the victim. The entire life of a lover is proclaimed to have been produced for the first person who happens to pass by. ‘Especially for you that's all I live for / Especially for you that's all I'm here for'... The truth is made clear in the first instance by a warning prominently placed beneath the title of the hit song: ‘Any copying of the words or music of this song or any portion thereof, makes the infringer liable to criminal prosecution under U.S. copyright law.' After reading this, anyone who harboured the illusion that an object existed especially for him, and who had bought it on that assumption, will dismiss the idea that it actually belonged to him. If he wished to change this situation he would be locked up, if he weren't locked up already." — Theodor Adorno in 'Commodity Music Analysed'. Critical theorist Theodor Adorno wrote extensively, and passionately, about the radical potential of music. His writing itself continues to provoke such passions: at Verso's recent panel discussion, held at Cafe Oto on March 18th, music writers Adam Harper and Ben Watson, and curator Irene Revell, talked frankly about his relevance to contemporary music today. The discussion took Adorno's essay 'Commodity Music Analysed', a scathing attack on commercial popular music, as a controversial starting point, and the participants went on to discuss his attitude to jazz, what constitutes "real" working-class culture and the modern music journalism industry. NTS Live was there to record the ensuing debate, and have made the event available as a podcast. Visit the NTS website to listen to the broadcast. 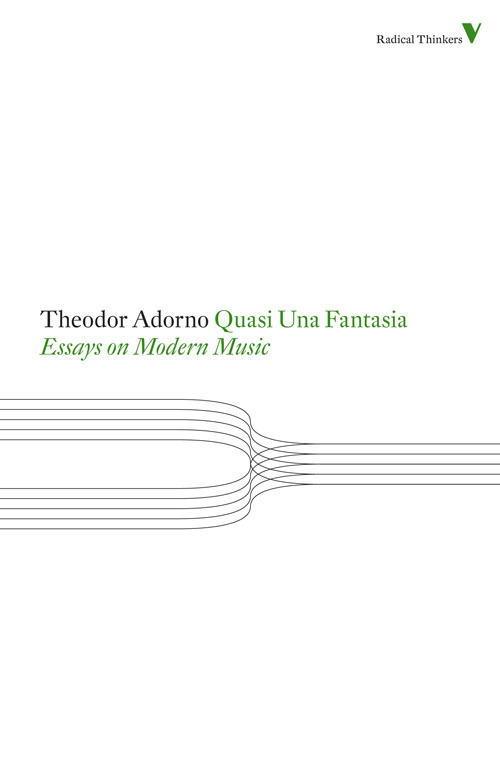 'Commodity Music Analysed' is a key essay in Adorno's own anthology of music writing, Quasi Una Fantasia.